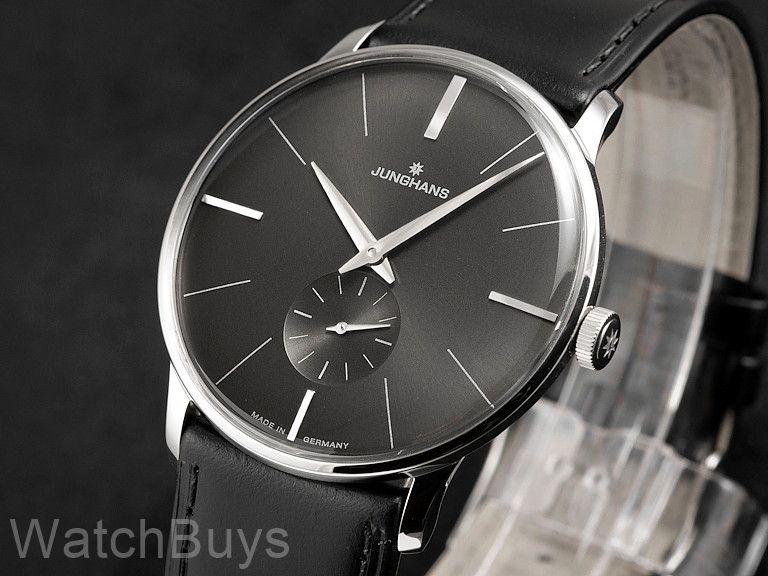 With its ultra-thin design (7.3 mm) and striking anthracite dial, this watch redefines how a contemporary dress watch should look. The dial is designed with a sunray brush finish and is finished with four appliques on the quarter hour markers. Silver hour, minute and small seconds hands complete the look. 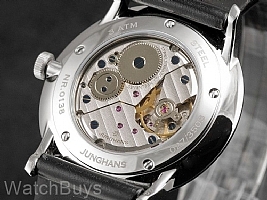 The movement is Junghans calibre J815.1, based upon the venerable Peseux 7001. The transparent mineral crystal back provides a view the highly decorated finish (blued screws, perlage and Côtes de Genève). The domed plexiglass crystal receives a special treatment for protection. The SICRALAN® MRL UV coating method was developed for suppliers to the automotive industry. This transparent coating causes a functional and aesthetic value: increased scratch resistance, improved UV and chemical resistance and a more intense deep gloss of the plexiglass. 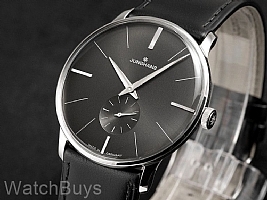 Finally, this watch is fitted with a shell cordovan strap with tang buckle.